Really enjoyed your WFL article. Similar to you, I was fascinated with the WFL, and continue to be captivated with any league’s attempt to compete with the NFL (i.e. USFL, WLAF, CFL attempts to expand to US, XFL, UFL…). I was very disappointed with the Pro Football Hall of Fame’s attempt to represent these leagues in their ”˜Other Leagues’ room. … I have a large collection of game helmets, misc. jerseys, etc . which includes examples from the WFL, USFL, WLAF, NFL Europe, XFL, UFL, and Arena Football League. Of course my collection includes NFL, but items of past/ defunct leagues are among my favorites. 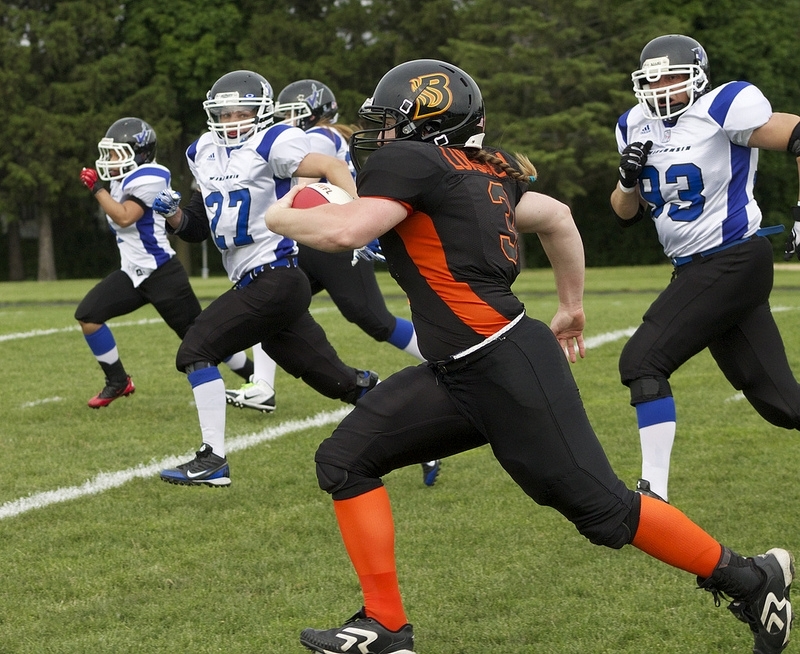 As our e-mail progressed, John added, “Pro Football is a real passion for me. Please enjoy the attached photo ”˜glimpse’ of my collection,” and we discussed the possibility of an article (or three) centered around his collection. He listed several possibilities, including, “The use of flames on helmets, jerseys, pants, etc. (some great looking helmets/ uniforms) ex. Chicago Fire, Birmingham Fire, Rhein Fire, LA Kiss Arizona Wranglers, etc.” Intrigued, I asked John if he’d like to pen a piece detailing those ideas. He happily obliged (you can click on most photos below to enlarge). Besides the Tennessee Titans, and ”˜perhaps’ the Miami Dolphins, one needs to explore other pro-football leagues to discover creative uses of flames incorporated into helmet logos and uniform designs. My pro-football ”˜flame’ research begins with the 1974 Chicago Fire of the World Football League; note 1975 season marked a name change to the Chicago Winds. 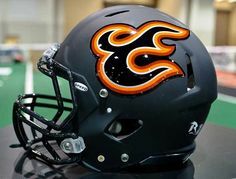 Since most helmet graphics start above the helmet earhole, this out-of-the-box huge logo incorporates a black and white flame surrounding the earhole. While simple, it’s a very innovative design for the time. Although flames are not apparent in their name, the Arizona Wranglers, the 1983-84 Arizona Wranglers sported one of the best uniforms in all of pro-football. A flaming branding iron on a unique copper painted helmet sets this one apart. What further separates this one as a top favorite is the brilliant flame ”˜piping’ on rich copper colored pants. The WLAF (later NFL Europe) offered some impressive use of flame logos. The 1991-92 Birmingham Fire included impressive red flames outlined in yellow with emblems wrapping towards front of helmet. The logo really stands out on the dark navy blue helmets. ”˜Fire-edged’ jersey sleeves compliment the overall uniform well. 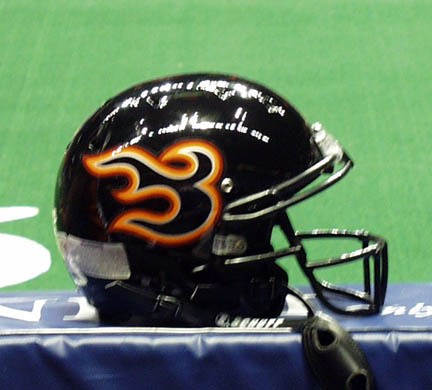 The Rhein Fire resurrected the former Birmingham franchise in 1995. The white flame outlined in gold incorporates a ”˜European-flair’. To complete the research are several examples from the Arena Football League; including both AFL and shortly-lived AF2. The Utah Blaze incorporates a simple, yet impressive flame design. Later helmet color changes, (from gloss to matte black), give the flame a more realistic ”˜smoke’ backdrop. The Louisville Fire of the 2001 AF2 league includes a very unique ”˜single’ logo which provides an impressive front face view. The AF2 league also included the striking logos included on the Quad City Steamwheelers helmets. Top, front, and rear views of this helmet are most extraordinary. The current LA Kiss clearly incorporate the most unique, and perhaps too much flame. A chrome color helmet provides the pallet for realistic flames. What also sets this one apart is the inclusion of flames on the facemask and plastic helmet shield; not quite sure how they do that? Fire-breathing dragon designs conclude the research. Both distinctive, the Portland Forest Dragons may be viewed as ”˜cartoonish’, while the New York Dragons offer a more Asian depiction. 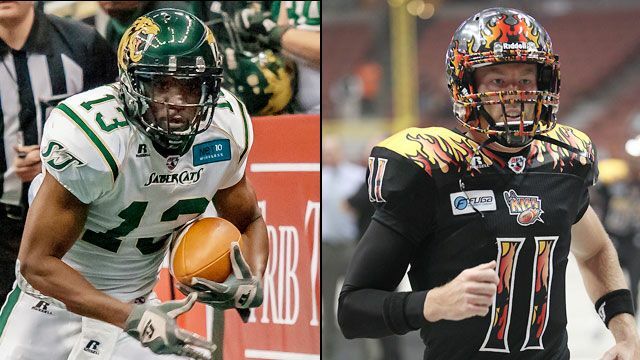 And that concludes our look at “fire” themed helmets in football. Big thanks to John for compiling all of this, and I’m sure we’ll be hearing from him again. I’m pleased to continue with a favorite weekend feature here at Uni Watch, “Classic Ballpark Scoreboards,” which are created by Gary Chanko. You probably know Gary best for his wonderful colorizations, but he has been a solid contributor for many years, and this is his new project. This segment will appear every Saturday on Uni Watch. Classic Scoreboards returns to Braves Field with a spotlight on the famed right field bleacher section. The original ballpark design called for a grandstand extending from right field all the way around to left field. However, the need for cost reductions during construction resulted in a smaller, 2000-seat right field bleacher section. The celebrated right field bleacher section was labeled “the Jury Box,” supposedly by a sportswriter when he observed only twelve fans sitting there one game day. Sagging attendance was a recurring problem for the Boston franchise in the decades following the initial years of Braves Field. New ownership in the late 1930s produced changes in the team name from Braves to Bees. Even the ballpark was rebranded to National League Park. The fans never warmed to all this and the franchise returned to the Braves moniker after several years. The manual scoreboard located at the top of the Jury Box bleachers displayed the home and visitor lineups, inning by inning scores for the National League, and a single American League entry for the neighboring Red Sox. Checking some end of game photos with the actual box score, I noticed the scoreboard operators kept the lineup current with player substitutions. Over the decades of use, the Jury Box scoreboard saw only minor changes. The “H-E” indicator was added in the 40s (about the same time lighting was added to the ballpark) along with indicator lights for the Ball, Strike, and Out displays. The original green color background became black in the later years. After the new left field scoreboard was installed in 1948, the Jury Box simply became advertising space. The illustration depicts the scoreboard for the Boston Bees loss to the Cardinals on May 2, 1939. The reported game attendance was only 3,155, most of which could have found seating in the Jury Box. This Boston Braves Historical Association research article provides further details of the game and the scoreboard and is the basis for the graphic illustration. • Boston Garters was the scoreboard sponsor. 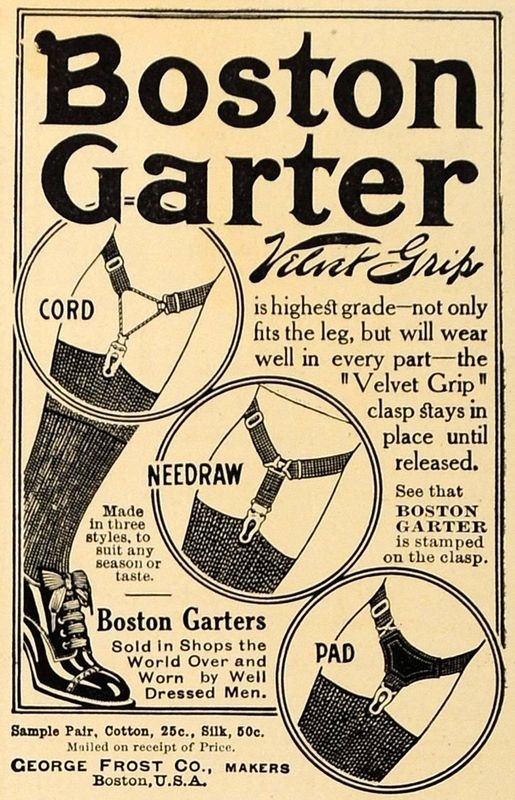 As a well dressed man during the first half of the last century, you probably had a set of Boston Garters. The company also issued a rare and unusual (weird may be a better choice of words) set of baseball cards. • The clock sponsor was none other than…President Suspenders (where’s Longines, Gruen, Bulova, or Benrus?). As that well dressed Boston Braves or Bees supporter, you also probably owned a few sets of President Suspenders, locally made in nearby Shirley, Massachusetts. • Looking at photos of the scoreboard I see the folks in Boston had trouble with the name spelling for Pittsburgh. They either needed a dictionary or more scoreboard letter space,; maybe both. The illustration duplicates the misspelling! Classic Scoreboards plans to visit Gotham in the next edition for a look at Old Yankee Stadium. Thanks again to Bob Brady, President, Boston Braves Historical Association (BBHA), for helpful assistance for information and rare photos of the Jury Box. The BBHA is commemorating the Braves Field centennial thought 2015. If you are interested in following the activities and leaning more about the Boston Braves and Braves Field, please visit their website. If anyone is interested in purchasing a digital copy of these posters, Gary is working on an online purchase option. In the interim you can contact him directly at Classicscoreboards@gmail.com. Each Saturday or Sunday, Alex Gerwitz will be tracking the kit combinations (shirt/shorts/socks) of the teams in the English Premier League from the previous weekend and the current weekend. T-Shirt Club reminder: The limited-edition June offering from the Uni Watch T-Shirt Club — the BFBS design, which you can order here — is available from now through next Tuesday, and then it’s gone for good. Baseball News: Check out this neat article on the Waseda Keio baseball game (from Pacific Rim correspondent Jeremy Brahm). … On instagram yesterday, the Pirates had a bit of an unfortunate typo in their ad for tickets and a dount (a very special donut, apparently) (h/t Jessica Smith). … Here’s a look at the G.I. 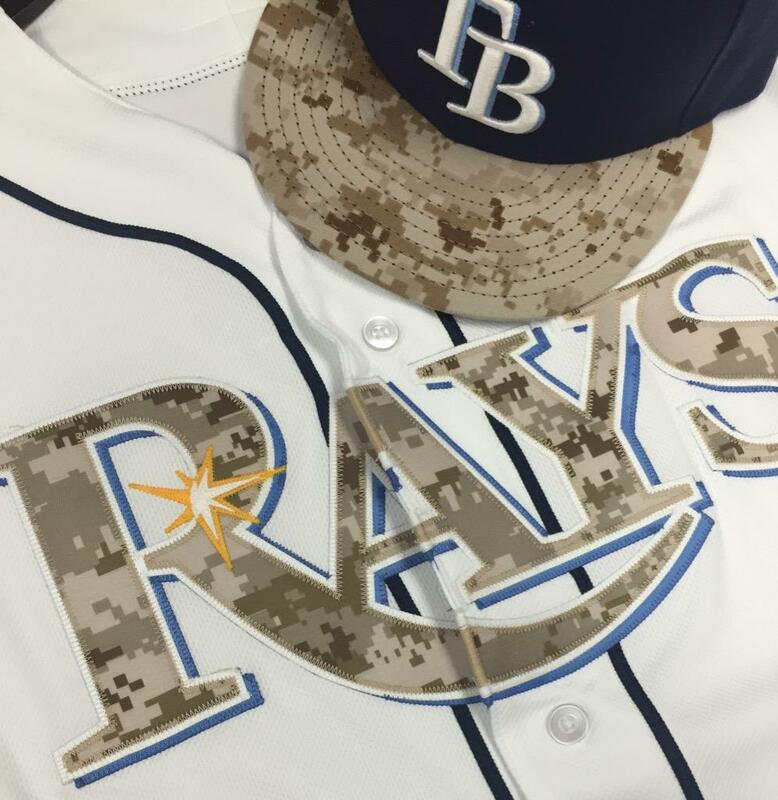 Joke unis the Rays will be sporting Monday. … Speaking of camo, The Memorial Day camo Cubs jerseys (home this year) do not have the little ® on the jersey as it usually does, writes Brendan Hickey: This is an image of the one that Rizzo will actually wear, here is one for sale, still not having it, and here is the regular home with the logo. … Last evening the Quad Cities River Bandits sported these flag desecration unis (h/t MiLB Promos. … Reader Brady Phelps was able to get a picture of the Norrisaurus Rex nameplate atop Derek Norris’ locker. … The KC Royals will be wearing gorgeous throwbacks May 30, playing as the Kansas City Packers. … Before they were Packers, they were Blue Sox from Covington, KY! (h/t Cam Miller Films). … It seems that Cy Lincecum has a doo-rag (“a really wide headband”) he wears under his cap (thanks, Paul). Turns out it’s league-issued. Of course. … When worlds collide: it seems the annual Pittsburgh Anthrocon Furry convention coincides with the Pirates playing the Mets. 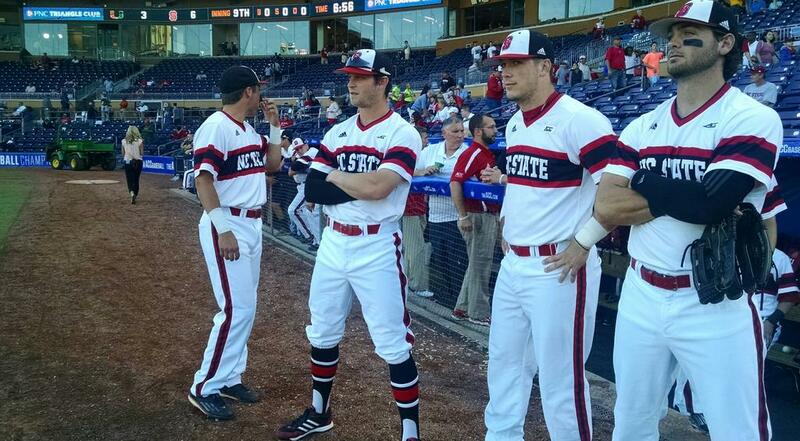 … Sweet stirrups with the throwback look from NC State (h/t Drew Johnson). 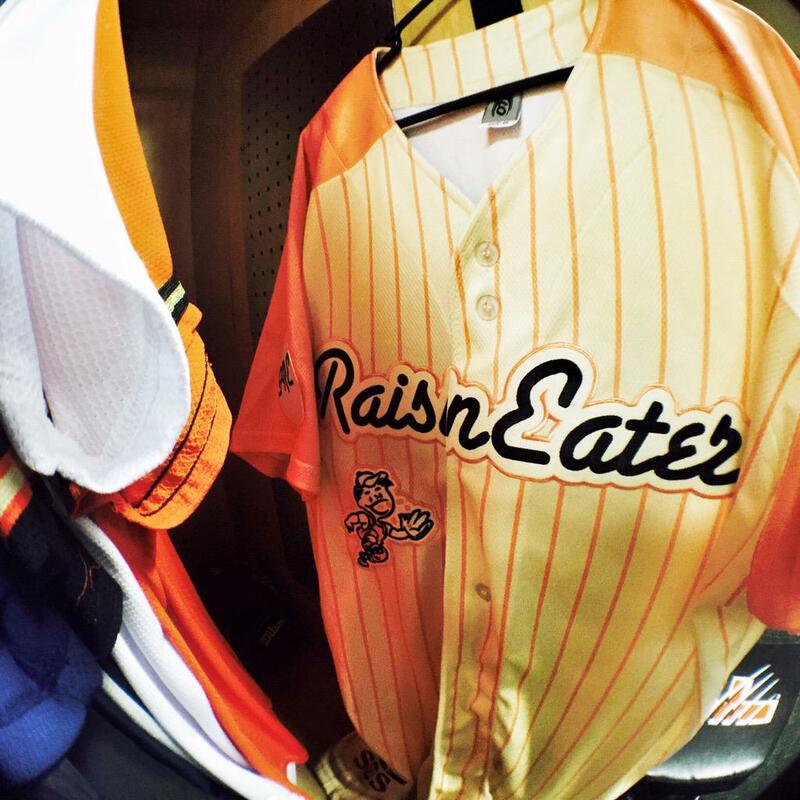 … The Fresno Grizzlies threwback to become the Raisin Eaters last night as they were celebrating Ag heritage night at the park. … Check out this Red Sox bat knob sticker, for whom I’m assuming is Hanley Ramirez (h/t Matt Solly). … We’ve seen guys with two undershirts go double-swooshed, but have we ever seen THREE? (h/t Jonathan Nisula). NFL/College/Football News: Did a football field give a player an infection? Check out this Kentucky lawsuit (from Ray Schaefer). … On Twitter, Patrick Thomas found a picture of Mark Clayton wearing sunglasses with his helmet. “I’ve seen prescription glasses, not sunglasses,” he adds. … WHOA! 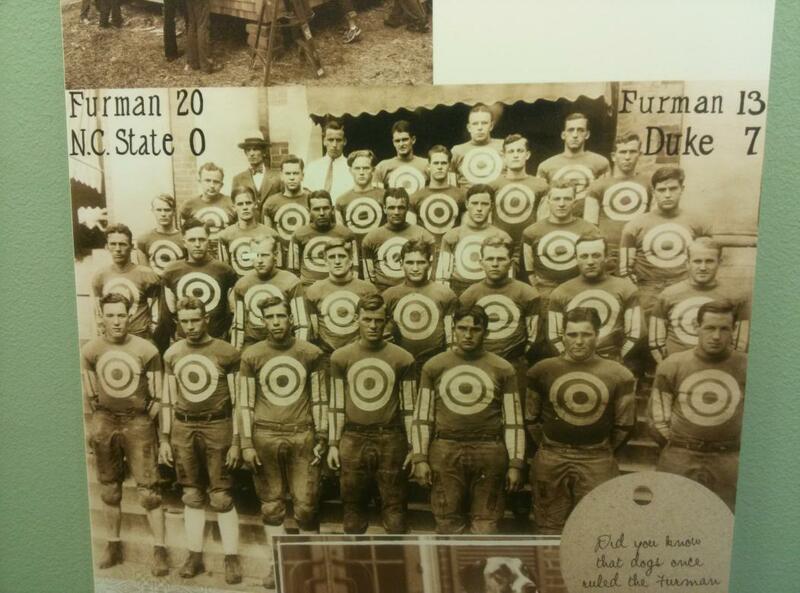 Check out these Furman University football uniforms (from Steve Mond), who’s not sure of the year. … The 2015 Clemson football jerseys are in (h/t Mark Johnson). … After Paul ranked the Stillers #1 in his ESPN column, Burghers are puffing out their chests a bit. Here’s a Steelers Uni history that ties in with Paul’s rank. … The NFL network is promoting fantasy football with Demaryius Thomas in the OLD broncos jersey (1st incarnation of broncos Nike jersey with the awful cut-off collar), with thanks to Eric Wright. NBA News: Last night, the Atlanta Hawks threw back to their 1980’s era ‘pac man’ unis (h/t Brad Solomon for the second pic). This is not the first time a team has done this as the 2003 New Jersey Nets also wore throwbacks. Also, the Cavs kinda sorta threwback (that’s more of a mashup though). More pics of the Hawks unis here. … Here’s some additional information on that “76ers jacket” that Nerlens Noel wore at the NBA draft lottery (from Brett Cohen). Some key lines from that article: The ESPN cameras turned to Nerlens Noel on Tuesday night at the Midtown Hilton in Manhattan, and he flashed that toothy smile of his, lowered his high-topped head, and opened his suit jacket, marking maybe the first time that a blazer’s lining has broken news. The inside flaps of Noel’s jacket said “PHILA 15” in blue and white – a creative way for the 76ers to have a player presumed to be a franchise cornerstone reveal the design of their new uniforms. “It’s as much as you can show,” Noel said. “The stars on the side, you can’t fit it all in there. It’s nice.” So, basically we now have confirmation of the rumored side panels/stars. … The Atlanta Hawks are selling emoji socks (nice spot by Mike Chamernik). … And according to Chris Creamer, the Hawks have filed to trademark this new logo. Here’s more on that. Hockey News: In yesterday’s ticker, Paul noted, “People often forget that the Bruins wore white socks with their black jerseys in the late 1960s”. A couple readers followed up: “With regards to the comment about the Bruins wearing white socks, when the Bruins wore the yellow (gold) socks with the single black/white/black stripe, goalie Gerry Cheevers wore the yellow socks with TWO black/white/black stripes,” writes Paul Hill I did find a video on You Tube on Gerry Cheevers. At 4:35 of the video you can see the two sets of stripes on Cheevers socks. Also apparently, Cheevers wore yellow (gold) socks all the time, regardless of what color the rest of the Bruins wore.” … More followup on the Bruins socks comes from Brian Codagnone, who writes, “It was only the first season of the new style, 1967-68. They adopted the gold socks after that, originally double striped, but that didn’t last, luckily. Phil Esposito liked to wear them once in a while even after they were discarded.”‹ On rare occasions they wore gold socks with the white jerseys.” … The TV show American Dad had a faux Philadelphia Flyers jersey in “Adventures of Hayleysitting” (nice spot by Patrick Thomas). … Although it’s not exactly known as a powerhouse in hockey, check out the LSU hockey unis (thanks, Paul). … Stumbled onto this really bad article on the best throwback uniforms history. I don’t disagree with the choices necessarily, but the inclusion of the Tampa Bay fauxbacks on the list (plus a Tim E. O’Brien inspired graphic) doesn’t say much. … Here’s a look at the logo for this season’s Frontier League All Star Game hosted by the Boomers (thanks, Paul and Christopher Overholt). 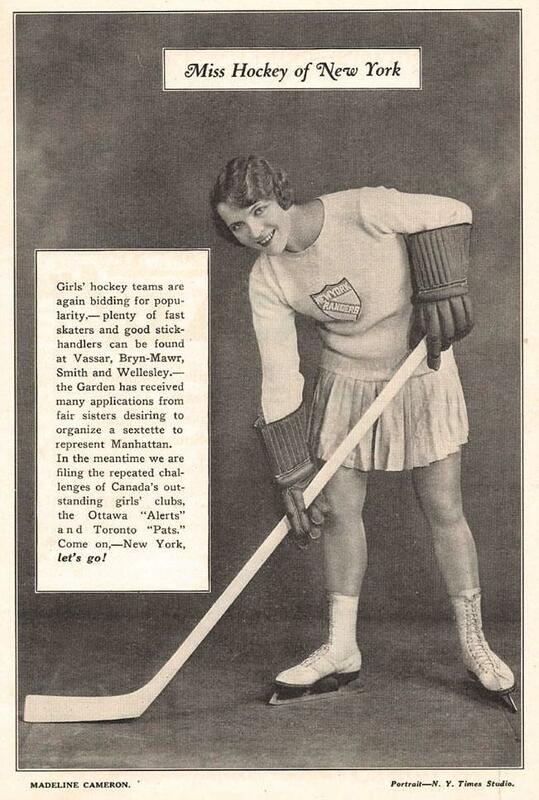 … Check out this pic of Miss Hockey of New York, 1928””a big Rangers fan. Note the logo (from Todd Radom). Grab Bag: Got an e-mail with the subject “Camo goes too far,” from Ken Pilpel, who writes, “While on a NJROTC field trip to Naval Air Station Norfolk, we saw these in the exchange (shopping center). I know it isn’t exactly sports related but it is funny to see the digital camo on baby items.” … Gimme a “T” for Tennessee: According to WZTV Fox 17 News out of Nashville”¦ a Doweltown, TN man says he has mowed his yard this way for over a year waiting for Google Maps’ satellites to update the area. It finally happened (from Dustin Semore). … The playground near the house of Chris Flinn in NJ gets it. … From the NYTimes: So, Who Misspelled American Pharoah? (Thanks, Paul). “The owners of the Triple Crown hopeful, whose name was registered with the Jockey Club, suggested two possible reasons the thoroughbred’s name is spelled the way it is.” … PeeWee found PB&J socks (nice find by Marc Swanson). … You’re wearing the shirt of the band team you’re sitting in a park to see? Don’t be that guy (thanks to Alan Kreit). And that is going to do it for today. Big thanks to John, Gary, Alex, the concepters and everyone who tweeted or e-mailed for the ticker. Catch you guys tomorrow. Follow me on Twitter @PhilHecken. Great feature, John! I was unaware of the Quad Cities Steamwheelers – which puts my Iowa-born self to shame – and I think I have a new all-time favorite football helmet. Shouldn’t they realistically have smoke/steam, not fire though? I think my pick for the best use of helmet flames would have to go to Birmingham. Realistically, it depends on when they’re depicting the brand to be seen. If it’s straight out of the fire, as the color of it seems to convey, then it is more likely to be on fire rather than smoking or steaming as it would be after a dip in oil or after being used on skin, no? We’re talking about the Steamwheelers, who have what look like exhaust pipes shooting flames, not the Outlaws with the branding iron. Nice collection, John. I look forward to seeing more of it. That front view of the L.A. Kiss helmet looks like a bunch of melted crayons got smeared down the visor and facemask. both have rather fiery helmet logos. The logo itself is at http://upload.wikimedia.org/wikipedia/en/thumb/e/ef/StLouisStampede.png/220px-StLouisStampede.png. Now I can’t decide if they’re on fire, or if they’re supposed to be the common breed of black horse with orange and red manes. I’ll let y’all decide that one. The furry convention in Pittsburgh–I’m still calling it Anthrocon–will be held from July 9 through 12 this year. The Pirates are hosting the Cardinals that weekend. Love the pics of old ballparks–thanks for showing them! Also, I think that the “Jury Box” also derived its name from the owner of the team, Judge Fuchs day job. You do realize that those Furman football uniforms are purple. This looks like a job FOR “COLORIZATION”! Did anyone else notice, in the article about the “best throwbacks”, that the Pirates uniform is Stephen Strasburg photoshopped in? 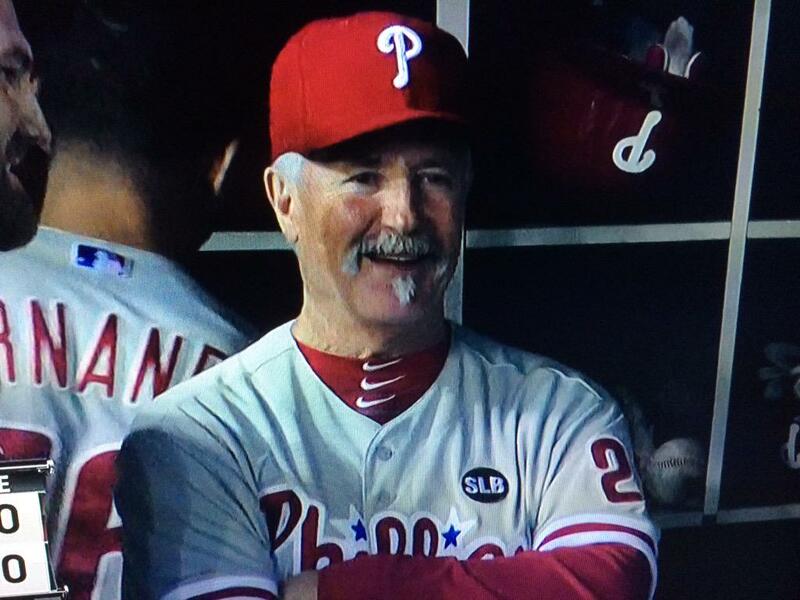 Anyone else notice that the throwback article – about baseball uniforms – got posted in the hockey section of the ticker? The NC State baseball jersey is not a throwback, please quit referring to is as so. I’ve actually seen Borussia Mochengladbach a few times, but the first time I saw them they wore this beauty. And it is acceptable to write it as MGB. And according to Chris Creamer, the Hawks have filed to trademark this new logo. 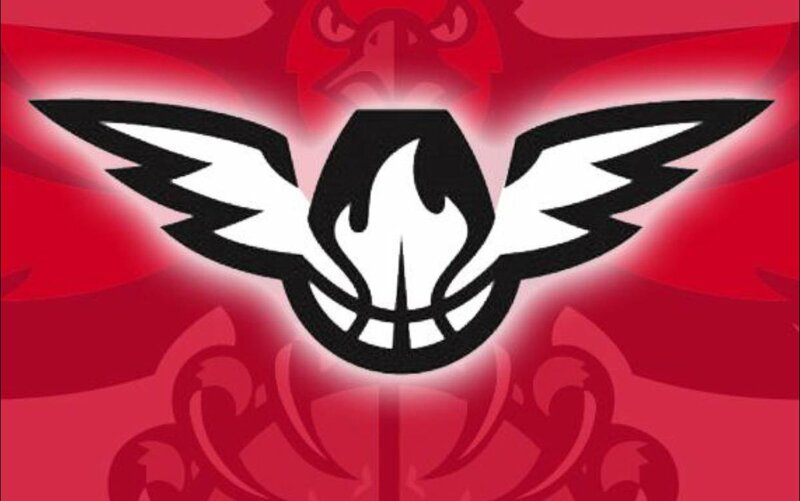 That Hawks logo looks way too similar to the Suns phoenix logo. A nod to “Hotlanta,” perhaps? No, more to the city seal, which depicts a Phoenix. Ahh, back when the Rough Riders decided to…increase merch sales?…by changing from their classic helmet three times in five years. I hope the RedBlacks can make a go of it. Of course, the RedBlacks’ owner isn’t Horn Chen, whose name is loathed among Ottawa fans for what he did to their Rough Riders, so it may be looking up. Coincidentally, that picture of Clayton and Duper popped up here a couple weeks ago, while discussing possible Dolphins throwbacks. Not sure why I didn’t think to remark on the shades, though. Really enjoyed the piece on the fire helmets today. Regarding the spelling “Pittsburg” on the Boston scoreboard: wasn’t that the official spelling for a while? Supposedly some people wanted to eliminate the silent H but it didn’t take. We’ve all seen that spelling on the famous Honus Wagner T-206 card! Did a football field give a player an infection? Didn’t Vince Evans of da Bears get a really bad staph infection from sliding on the Soldier Field turf? Not even kinda sorta close. The Cavs’ blue alts have nothing to do with the past (when they were blue & orange). Dan Gilbert grew up a Pistons (spits on ground) fan, and loves putting the team in Pistons (spits again) blue. I can live with an occasional blue & orange genuine throwback, but enough of this hard-to-read-numbers mashup. Just. Go. Wine. And. Gold. If you love the Pistons (spits yet again) so much, do a franchise swap with Tom Gores. Rooting for the Cavs, but if the Hawks pull off the unlikely series upset, I’d love to see those throwbacks again in the Finals. I need a drink of water now. I hope your car never runs into any engine trouble… your mechanic probably won’t like getting spit on when he mentions a problem with the pistons. Waiting for the price of a Tesla to go down so I won’t ever have to deal with them again. Hey, what did the ground ever do to you? Spit on Dan Gilbert. You’ll feel a lot better. Frontier League item should be in the Baseball section of the ticker. wow the collect includes a Carolina Cobras helmet.. i am impressed.. they were in operation for what 4 years..